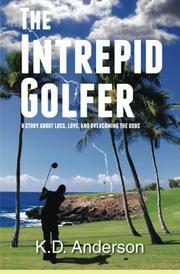 Anderson, in his debut novel, serves up the tale of golfer Kenji Watanabe as he steps beyond his life’s tribulations. When Watanabe, a Japanese-American living in Kona, Hawaii, is 17, his parents both die in a car accident. He’s forced to leave high school and take charge of his parents’ T-shirt business. He mopes around a good deal, until a neighboring storekeeper suggests that he “man up,” count his blessings and act more like his father, who never groused about his heavy responsibilities. Anderson, who conveys the story in a disarmingly innocent voice, writes of how Watanabe gradually falls in love with the girl next door, marries her and then loses her to cancer. Watanabe manages to make the family business a success; he retires at 50, and develops an obsession with golf, which is only cooled—slightly—when another woman, Lilly Yamada, enters his life. On the course one stormy day, he gets struck by lightning, which kills him—but only for an instant, before his heart restarts. Afterward, his life is radically altered—or, rather, his golf game is, as he makes progress down a near-mystical path. Some of the book’s imagery is reminiscent of Michael Murphy’s classic 1971 novel Golf in the Kingdom, but Anderson fortunately shies away from melodrama. Some elements of the story are a bit pat, such as the therapist whose sagacious counsel cures all, or simply perplexing, as when the recently injured Watanabe pounces on a gunman threatening his friend. That said, Anderson comfortably delivers the novel’s greater story arc, depicting the power of friendship and the message that only by throwing crippling insecurity to the wind will you find yourself open to life’s greatest blessings. A genuinely moving novel, and a certain feast for golf hounds.